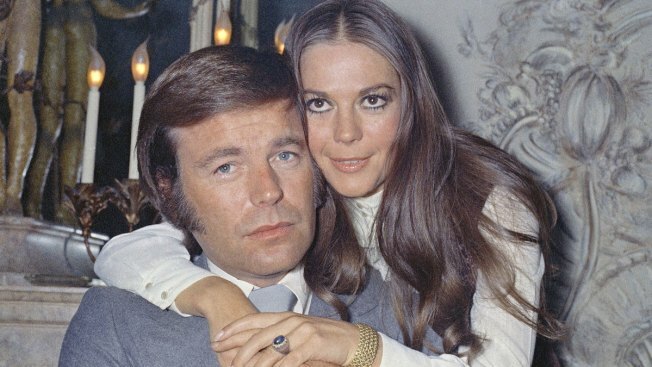 Detectives want to speak with Robert Wagner, the 87-year-old widower of Natalie Wood, as new details emerge that could lead authorities to solve the mystery of the actress's death nearly four decades later. Wood, who starred in "West Side Story" and was nominated for three Academy Awards, was found dead in the waters off Southern California's Catalina Island. She had been drinking on a yacht with Wagner, actor Christopher Walken and the boat captain on Thanksgiving weekend of 1981. Investigators initially ruled the death accidental. But the case was reopened in 2011 after the captain said he heard the couple arguing the night of her disappearance. Wood's death has been classified as suspicious and Wagner has been named a person of interest in the case, officials said. Detectives haven't reached out to Wagner for more than five years, Wagner's publicist and a sheriff's spokeswoman said. Wagner, who is known for his roles in the 1980s TV series "Hart to Hart" and the "Austin Powers" movie franchise, has denied any involvement in Wood's death. His attorney has said he fully cooperated with investigators. Several new witnesses have come forward since the case was reopened, including one who described hearing yelling and crashing sounds coming from the couple's stateroom, sheriff's Lt. John Corina said. Shortly after that, separate witnesses who were on a boat that was in the water nearby, heard a man and woman arguing on the back of the boat and believe the voices were those of Wood and Wagner, Corina said. Those statements corroborated the account of the captain, Dennis Davern, who has said he heard the couple arguing in their cabin. When he went to their cabin, Wagner told him to go away before Wagner and Wood ended up arguing on the back of the boat, Corina said Davern told investigators. Wagner was the "last person with her, arguing, before everything went quiet," Corina said. The coroner's office amended Wood's death certificate to include "drowning and other undetermined factors." Wagner's statements to investigators after the death and subsequent comments about the case "really don't add up to what we found," the lieutenant said. Wood's sister, Lana Wood, told "Inside Edition" that she doesn't believe Wagner has told investigators the full story about what happened on the boat. "Somebody's lying," she said. "Somebody hurt her...I know things go bad. I know people lose their tempers. I know bad things happen when you don't want them to. So, stand up and tell me that."